I was reminded recently of the single reason why I insist that horse racing administrators have it all backwards, and their apparent intent to turn race tracks into amusement parks is silly (ridiculous, even). The vehicle through which (whom) to turn potential fans into the Key to the Future of Racing? The reason, of course, I repeat: The Horse. Some background: recently, an esteemed colleague argued in favor of “family-friendly” race tracks, that is, cheaper admission prices, events for children, etc. My colleague sees these factors as being important in the effort to grow the sport, and many people agree with her. She believes that the cost of admission is too much, especially for those who have children. Let’s dissect this argument, shall we? We differ, of course. My argument is that, $5 for grandstand admission (general admission) at Saratoga Race Course is Chump Change. Eight dollars for Clubhouse admission–is just three dollars more of Chump Change. Where else in America can anyone go, and watch a world-class sporting event, for five or eight bucks? The problem, posited my friend, is in that people with children can’t afford to put out five bucks for every person in their entourage, AND pay for food. Yes, it’s a big five bucks for every adult in the party–but FREE for children aged 12 and under, when accompanied by an adult. So if you have two parents and five kids, maybe four under age 12: $15. Fifteen dollars for an entire day at a gorgeous race track, watching the world’s best Thoroughbreds race. That doesn’t seem like much money, to me. Hint: it’s not. And the cost of food? Overpriced, my friend opined. Yep, it’s overpriced. No doubt about it. Then don’t buy it. Nowhere is it written that NYRA owes you a Free Lunch. (OR Gulfstream, Finger Lakes, Emerald Downs, or Meydan, for that matter. Do you expect a free–or even just cheap–hot dog when you go to see the Yankees play? Of course not. Bring in your own sandwiches, chips, dips–no one is telling you that you can’t bring in your own food. No glass containers, of course: that’s just reasonable. Your broken bottle can result in someone else’s six-inch gash in their foot, and a trip to Saratoga Hospital. In order to distract the kiddies, NYRA brings in face painting, bouncy-bounce houses, “family fun days,” and other things just to keep children from screaming all day long, demanding to go home. FREE. NYRA offers thousands of free parking spots to patrons, and the streets of Saratoga Springs offer miles and miles of free parking, as well. $5 per adult for admission to the grandstand area. Free to children aged 12, and under, with an adult. $8 per adult for admission to the Clubhouse area. Now food’s gonna cost ya, wherever you are on the track. But you DO have that option if you’re not in the Clubhouse, of bringing in your own sandwiches et al. Not a luxury that visitors to The Great Escape–or Disney–or any other amusement park–is given. Children under the age of TWO are admitted for free. (Two, not 12.) Yes, you must pay $48.99 for your kid who’s three years old, and up. NO outside food or beverages are allowed inside the park. Patrons must buy food from The Great Escape’s many offerings–or wait until you leave the park to dine somewhere in Lake George, Queensbury or Glens Falls. Or home. Now, let’s go back and address the problem with race tracks feeling the burden of entertaining every member of every family who ever walks through their gates: it takes the emphasis off the horses and the sport, and makes humans the focus of the sport. How can I write this? Whatever do I mean? Well…this sad state of affairs appears to spring from the fact that we’ve become a nation of adults who cater obsessively to the whims of children. With technology, and children’s access to computers, video games and smartphones–we’ve grown an entire generation of little humans who have the attention span of a fruitfly. So of course, parents don’t expect to take their children to a race track and actually sit still for 15 minutes. Or to sit still without Something To Do every minute of the day. 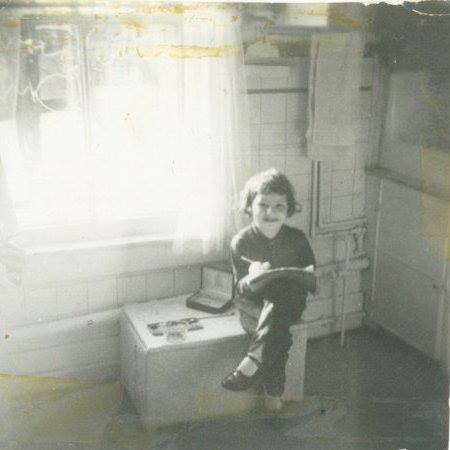 Yep, I’m coming across as an old curmudgeon, but I’ll write it, anyway: when I was a kid, no one actually cared if I was bored. “Entertain yourself,” was the mantra. I read a lot of books, and am the better for it. 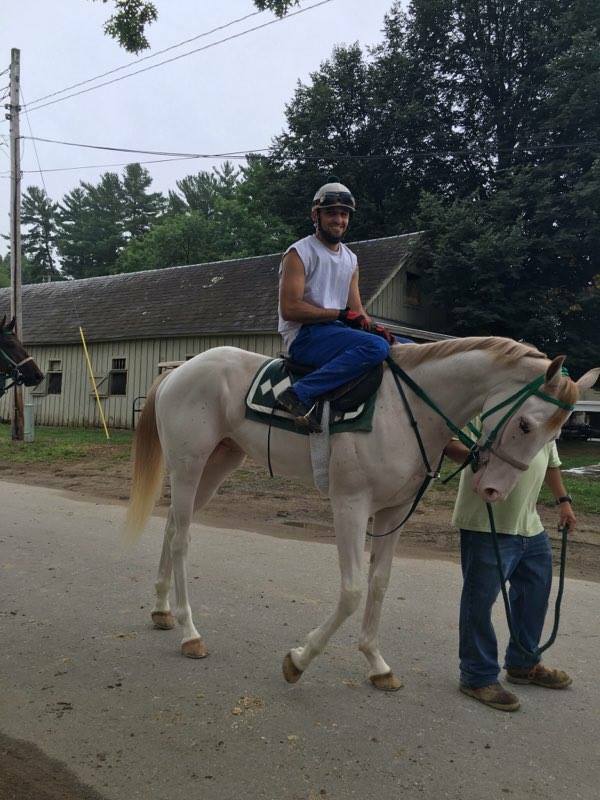 But at the race track–Saratoga, Green Mountain or Suffolk–I was there to…wait for it…actually …WATCH THE RACES. It didn’t matter how young I was, my sole reason for being there was to watch the horsies race around the ovals. Novel concept, yes? My Mother and Grandmother didn’t go crazy, trying to find ways to distract me, like a kitten with a butterfly. They didn’t call the race tracks in advance, to find out what kind of “family-friendly” activities were on the card that day. They drove to the track. I sat with them. We picked the horses we liked, and hoped they’d win. Yep, Mommy and Gram bet. I started betting when I was 18. As simple as that. 4) And if your children never learn to respect the horses–-and actually discover that horses are big, gorgeous, powerful, sweet, sentient, living beings who have feelings and can know pain–then it’s easy not to care about their welfare. So, just going to the track for the day, and never once walking your children to the rail to watch the horses run with majesty and Earth-shattering authority–is to do a tremendous disservice to your own children, yes. But even worse: you are contributing to the continuing problems of horse abuse, neglect and slaughter because a society that is robotic–that sees only video games as reality–is a society that teaches children to have no empathy. If your children never feel the power of a horse–how or why should they care if s/he is beaten, or exsanguinated while still alive? Go to the races, at whatever race course is closest to you. Pay the minimal fee to get in, and quit whining. Then, walk your kids straight to the rail, and let them just FEEL. Feel the power. Feel the might. Feel the joy. 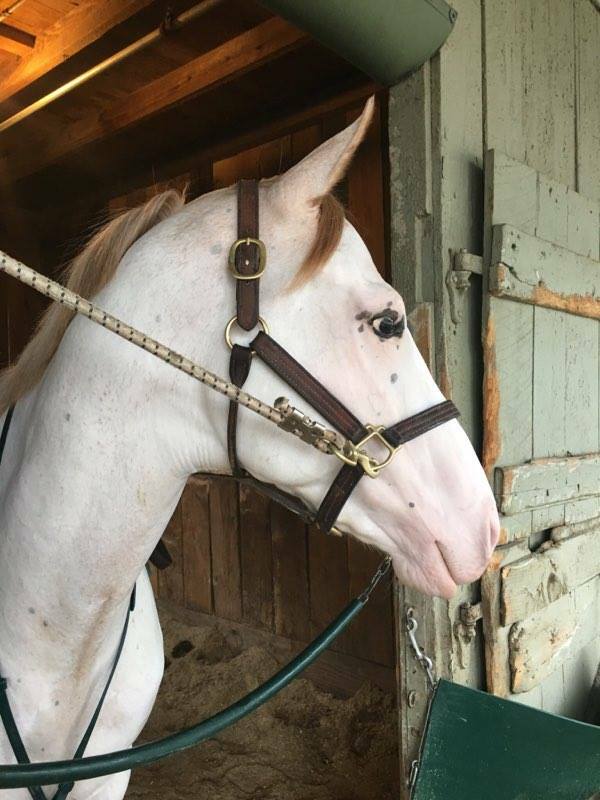 Show your children how to get their faces out of a smartphone, and out of the face-painting booths–and turn that little face toward the beauty, the bliss, the joy that is The Horse. 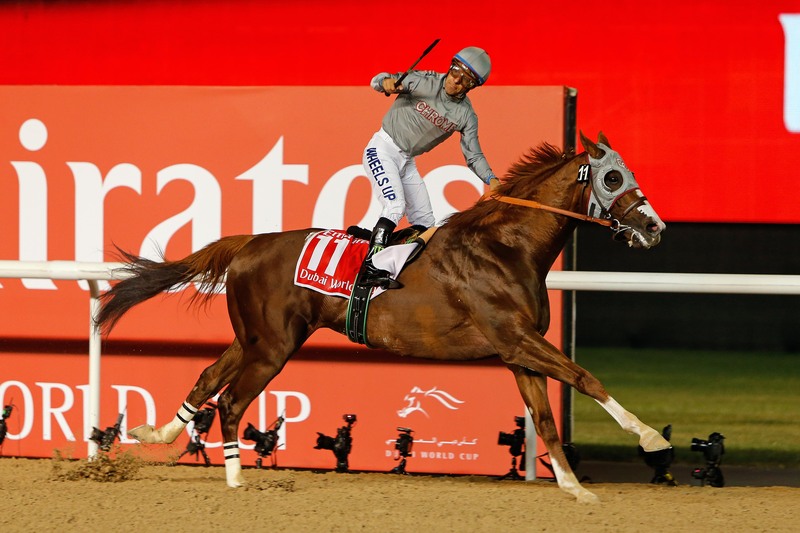 We can stop horse abuse and horse slaughter, and at the same time, grow the sport of horse racing healthily into the 21st Century AND grow a generation of empathetic, kind human beings. Saving horses, AND saving your children–AND, through them–saving human culture, at least one very important corner of it. * photo of Artic Storm Cat with his buddy, Benito Alvarez, up. 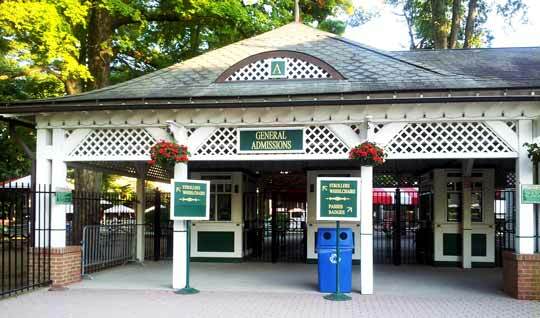 * the Saratoga Race Course entrance photo. Previous Article Secretariat’s Authenticated Preakness Garland to Be Auctioned for Charity.